Our video pipe and sewer camera inspection services use a video camera to inspect your drain and sewer lines for problems, blockages, leaks and the cause of sewer odors in your Silver Springs, Olney, Rockville and Bethesda, Maryland area home. Shipley Drain and Sewer Services is your Silver Springs, Olney, Rockville and Bethesda, Maryland area video drain and sewer inspection experts. We can pinpoint the smallest leaks and causes ofsewer drain line problems. Video pipe line inspection and pipe line location detection services give us visual confimation of the condition of your sewer and drain lines. Yearly video pipe line inspections will keep expensive problems from developing. Household debris, soaps and grease, even plant roots, can clog or damage your sewer and drain lines. Call Shipley Sewer and Drain Service for video inspection and the inside story on your sewer pipe lines. FAST, same day Howard and Montgomery County, MD area video camera sewer inspection, upfront pricing and clean, courteous technicians. Our pipe camera inspection eliminates guesswork. 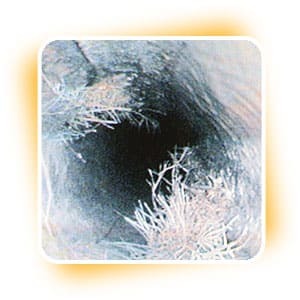 We can visually inspect the condition of your sewer line. Call and make an appointment that’s convenient for you. We’ll show up on time, listen to your needs, make recommendations and prepare pricing by the job, not by the hour, so there are no surprises. 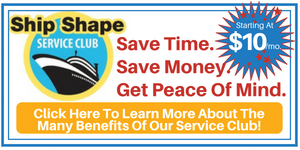 We promise to take great care of your home. Our sewer camera technicians wear shoe covers, put down drop cloths, are trained to perform the work you need and will thoroughly clean up the work area. We follow up with a phone call to be sure you are satisfied. We stand by everything we do. Call Shipley Drain and Sewer Services for video inspection of your home’s sewer and drain lines. Eliminate guesswork and get to the root of the problem.